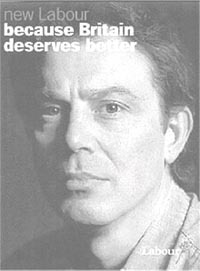 during the general elections in 1997, the uk Labour Party's web-site stated it would "reduce and then reverse traffic growth." This was also emphasised in the handbook of the candidates. The party had, in fact, capitalised on environmental issues and used them as a campaign strategy to win the elections. But today, after three years in power, the party is forced to backtrack on its ambitious environmental promises under pressure from the truck and transport lobby. They have recalled a fuel duty escalator, which would have restricted traffic growth in the years to come. The government has also retracted from its earlier anti-private transport policy by promoting and facilitating the building of motor roads and highways. Under the fuel duty escalator scheme, which was first proposed in the March 1998 Budget, motorists would have to pay a duty of six per cent above the normal inflation rate every year, which would automatically lead to a reduction in the usage of private transport. But Chancellor Gordon Brown abandoned the scheme in November 1999 until 2002. This tax has now been replaced by another tax, which promotes public transport and gives an impetus to road improvements. Brown has had to face severe criticism as the present scheme is completely detrimental to cleaning up the air. Not only will uk have to pay a heavy price in terms of deteriorating air quality because of Brown's move but the scheme will also result in huge revenue losses. On the other hand, as a result of the removal of the fuel duty escalator, road fuel demand will be 11 per cent higher than it would have been if the escalator remained in place by 2010 predicts Cambridge Econometrics, a private organisation providing detailed economic and energy forecasts. This would lead to a tremendous increase in road traffic emissions. If this increase occurred, uk 's road transport emissions would be 19 per cent higher than 1990 levels by 2010.